These days, wearable products are the talk of the town. Many believe wearable products will lead to the decline of the smartphones in the upcoming years. However in fact, this technology will only make the smartphone more central to our lives and here is why. 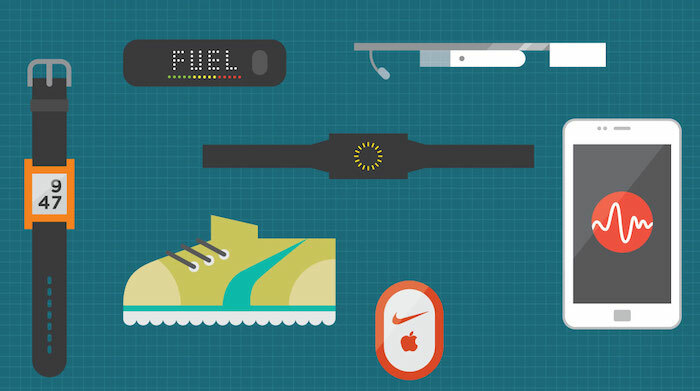 Many wearables, for reasons ranging from energy consumption to data plan costs, are not directly connected to the internet and must be tethered to a smartphone. For example, a Pebble smartwatch is not very smart until it is connected to your phone. Also since a phone is always connected to a data connection or a Wifi, you can receive instant notifications on it. Wearable due to their limited battery time and small screens seldom offer such functionality. The smartphone is a a high-performance mobile device. Some wearables give very little to no output. For example, the Fitbit only shows LED dots to display workout status. Smartphones can interpret data into charts and analyze them to draw conclusions, now wearables are not built for such tasks they are more suited for wearability and as a fashion accessory. Voice and display capabilities of a smartphone are unmatched. Talking and squinting on the small display of a wearable seems unnatural as opposed to a smartphone. A smartphone screen is small enough to be portable but large enough to show complex information, such as your banking information or fitness patterns. The smartphone is many things packed into one. It would not be wrong if we compare it to a swiss army knife. The smartphone is here to stay. Its versatility is unrivaled by any other mobile device, In a single device it is a phone, alarm clock, watch, TV, calendar, camera, map, wallet and so much more. Even in today’s high technology world on wearable cannot replace a smartphones. You need a bunch of them to replicate the features provided by a smartphone. Hence, The smartphone is here to stay because it beats wearables in almost every department.